The summer of 2017 will be one of the hottest in UFC history. Dana White will host a Summer Kickoff press conference on Friday, May 12 at 5:30pm ET with athletes from UFC 212 through UFC 214. Additional fight announcements will be made during the event. Before UFC 211 this weekend, the UFC hosted some of its biggest stars in a press conference in Dallas to promote the upcoming shows this summer. Fighters included Michael Chiesa, Kevin Lee, Daniel Cormier, Jon Jones, Valentina Shevchenko, Amanda Nunes, Michael Johnson, Justin Gaethje, and more. This is an event that you do not want to miss…. Things are going to HEAT UP! 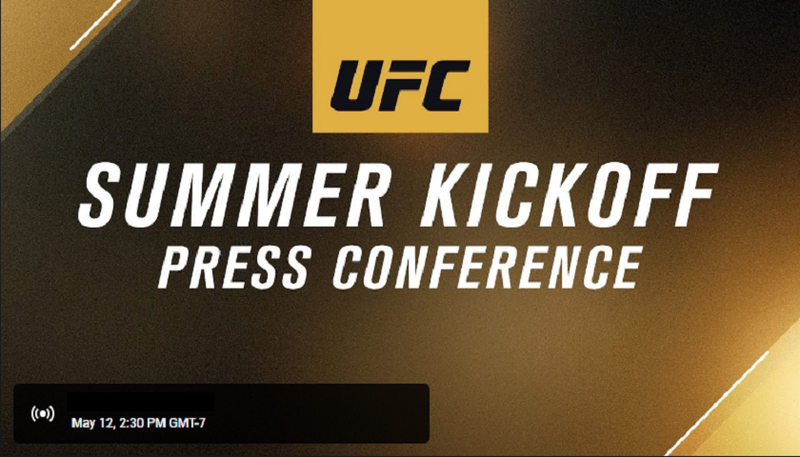 Watch the UFC Summer kickoff press conference above.